Friendly and fun loving, exotic and tropical, cultural and historic... Thailand looks set to emerge as a 'superyacht hub' and a realistic alternative to wintering in the Caribbean. With its glittering temples, warm hospitable people and tropical beaches, Thailand is the 'land of smiles' and offering fascinating culture, royal palaces, impressive mountaines and let's not forget great Thai food. The white-sand beaches and turquoise blue waters are a magnet for travelers around the world and the best way to visit all the tropical islands is with a yacht. 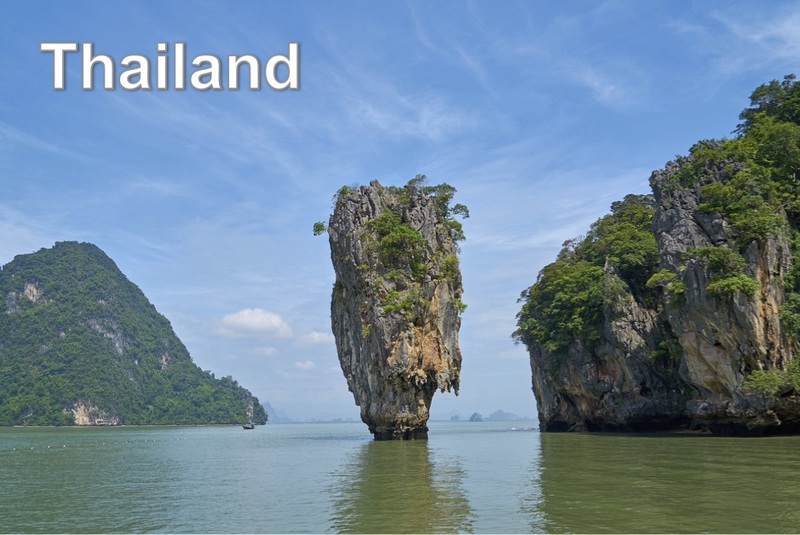 Thailand is blessed with natural beauty, towering pinnacles of limestone jut from the emerald-colored and sheltered waters of Phang Nga Bay (the famous James Bond island in the movie "The Man with the Golden Gun" to the south where the Phi Phi islands stand as the jewels of the Andaman Sea. With more than 130 tropical islands, some of them inhabitated, there's always a place to anchor and visit the white-sand beaches. Your yacht charter willl also take you to Phuket, known as Thailand's premier resort island. Where you'll taste the cultural vibracy, the lively nightlife and where you can also "go Buddha", experiencing the buddhist way of life by joining the monks. Enjoying the culture and savoring the local cuisine. A yacht charter unfolds in an exotic part of the world your access to a stunning scenery.